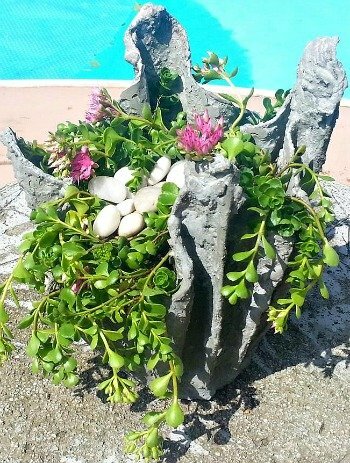 Looking for a wonderful sedum for your rock garden? 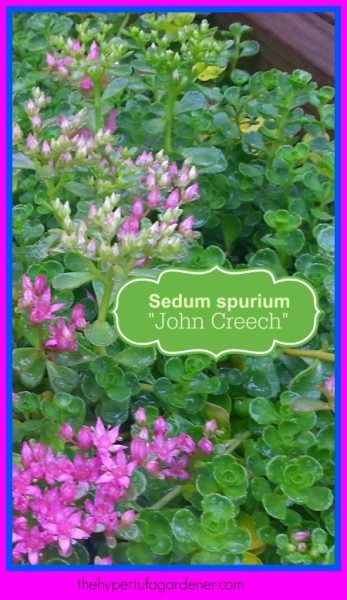 Sedum spurium “John Creech” is one of my favorite flowering succulents. It blooms with pink flowers in summer and grows a thick ground cover mat which helps to suppress weeds. You can also make new plants easily with cuttings! Score! 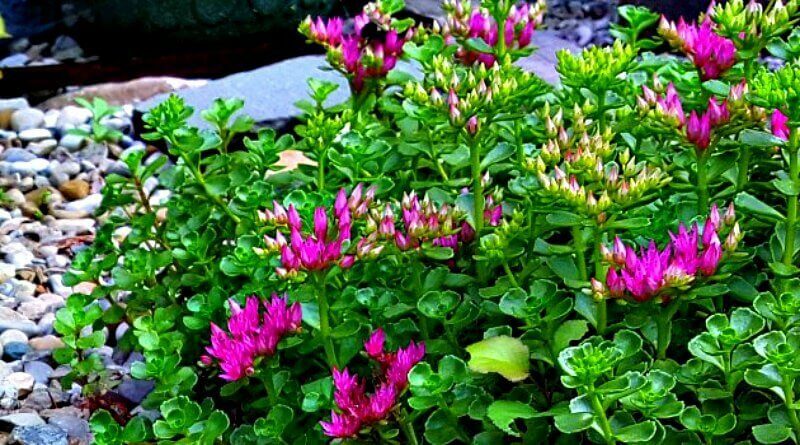 It is sometimes called two-row stonecrop sedum because of the way the petals grow on the stems. It will send out stems which can root at each node. John Creech will grow fast but if you don’t like where it grows, it can just be “lifted up” and moved. It is step-able so it can be use on a path, if necessary. The blossoms on this sedum are pink and star-shaped. They have five petals which is one of the identifying markers of this plant. Butterflies and bees hover constantly and you can enjoy them during the bloom season. Most succulents and sedum are great for pollinators. Birds will also enjoy the dried flower’s seed heads if you want to leave them up over winter. Otherwise, you can cut them off and , if you like, trim the plant back to keep your tight ground cover growth habit. This cultivar can turn a burgundy shade in the cooler months of fall which makes it a very attractive and versatile plant for designing in your rock garden. I have a lot of this growing around my garden, both on the ground and in containers. 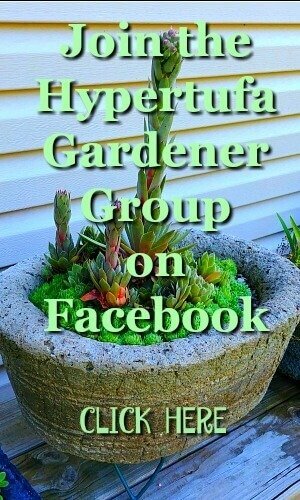 It will cascade over the edge of a hypertufa pot beautifully, so I do use it quite a bit. 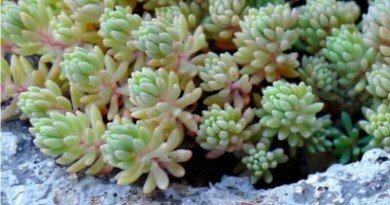 It does make a good ground cover sedum since it grows so tightly. 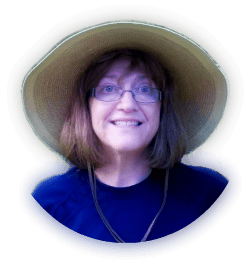 It is tighter in full sun, just a bit looser in semi-shade. 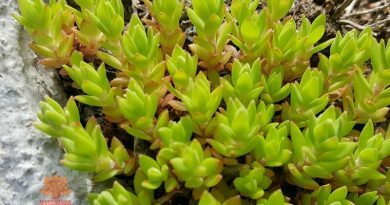 I have the Sedum spurium “John Creech” growing in planters and it seems to be doing really well. Since the spreading nature of the plant causes it to cascade over the sides of a garden planter, it really gives a nice look to some of my draped hypertufa pots. 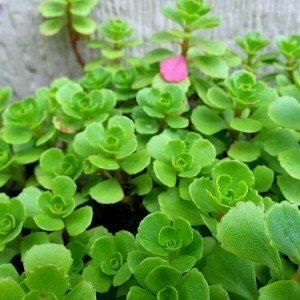 Try this plant if you don’t already have it. It is very easy to find at the local garden centers or nurseries since it is a very common plant. Or ask a gardener you know. They would probably gladly share a cutting for you to take home. And a cutting means: lifting up a sheet of it and handing it over. It grows like that in some places. It grows nicely in gravel! 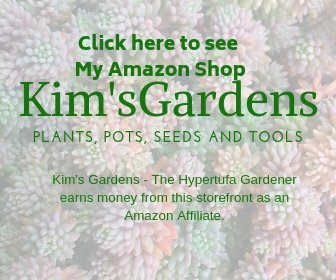 Have you seen my garden pathways? 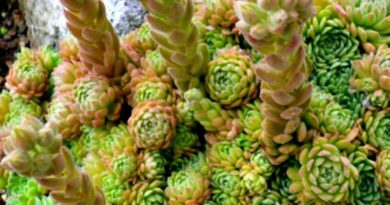 Sedum sarmentosum – Gold Moss, Graveyard Moss, What’s in a Name?